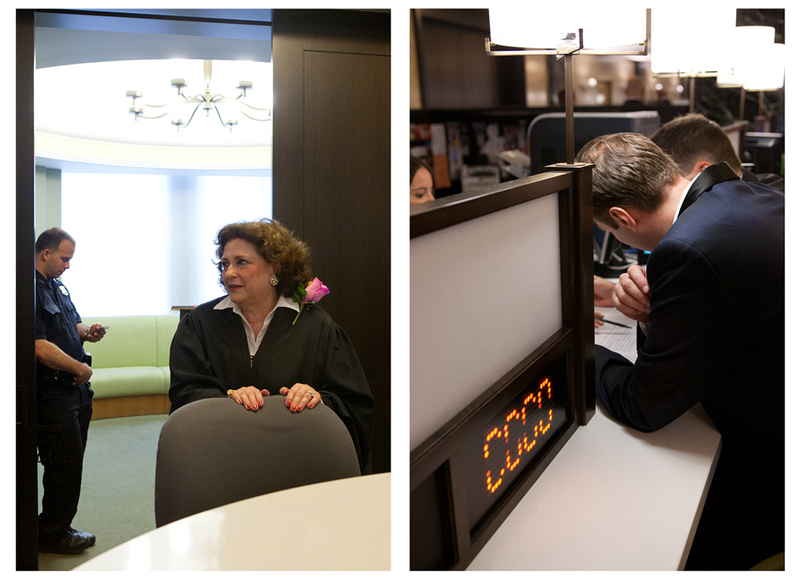 Left: Several dozen judges across the state volunteered to play an official role in the new law’s first day. Right: State law generally requires couples to wait 24 hours after receiving a license before they can be married. On Sunday, couples were able to hold their marriage ceremonies immediately—skipping the 24-hour waiting period—by asking a New York State judge to grant a Judicial waiver of the 24-hour requirement.